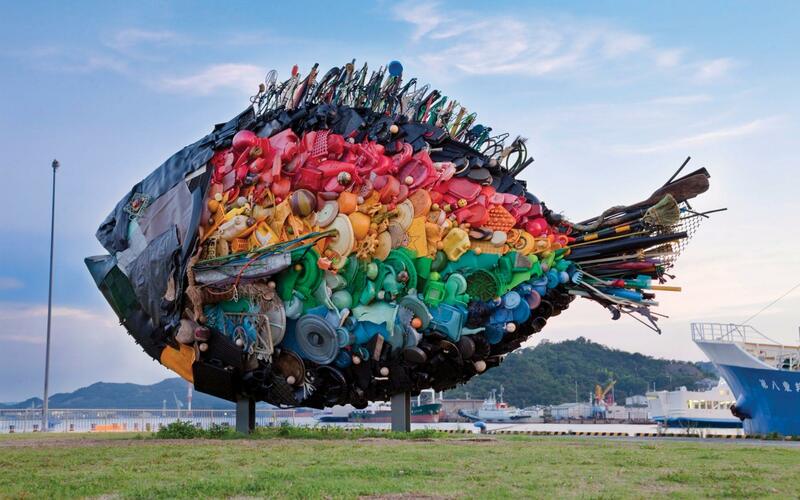 The artist duo Yodogawa Technique’s giant installation was created from refuse that washed up on the islands. 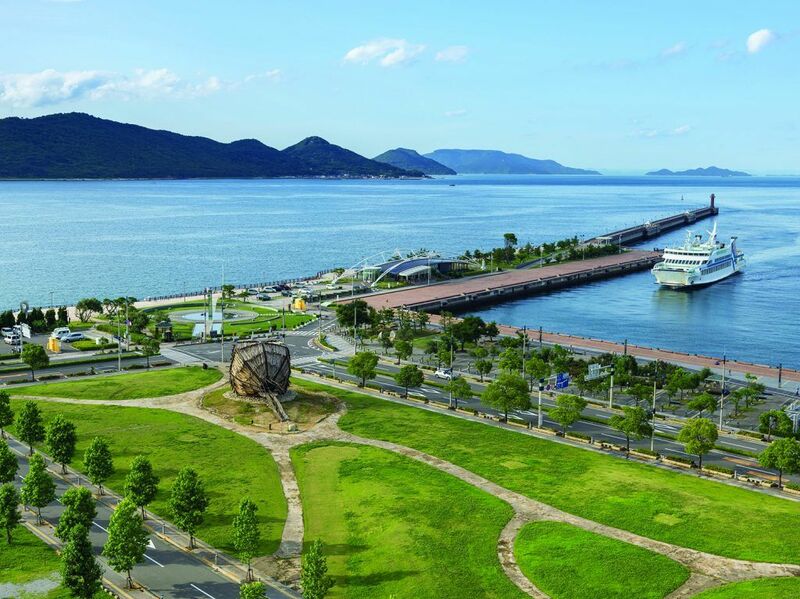 Contemporary art, striking architecture, and natural beauty combine to stunning effect on the magical islands of Setouchi, an ancient region that includes Japan’s Seto Inland Sea and its surrounding coastal areas. 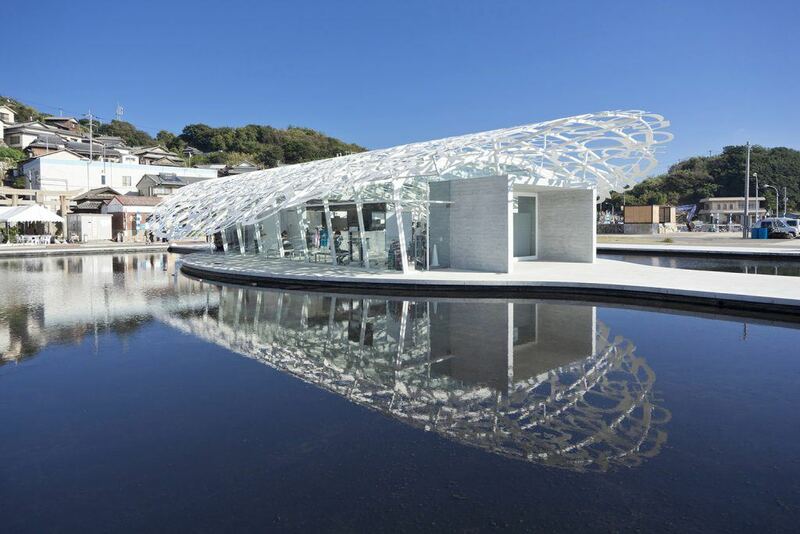 The archipelago’s origins as an unlikely art oasis date to the late 1980s, when the Japanese billionaire Soichiro Fukutake transformed a neglected island, Naoshima, into the Benesse Naoshima Art Site, which now includes Teshima and Inujima islands. 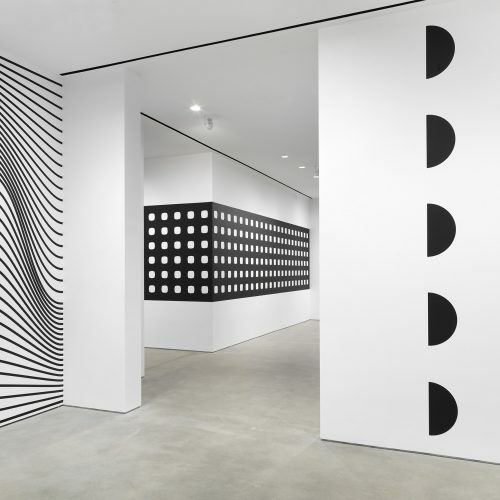 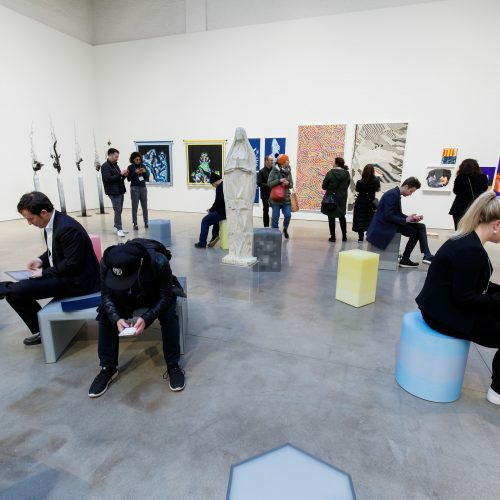 These days, droves of art and design lovers make the pilgrimage to see sites like Yayoi Kusama’s ocean-facing pumpkin and the Tadao Ando–designed Chichu Art Museum, which houses James Turrell’s magnificent Open Sky installation. 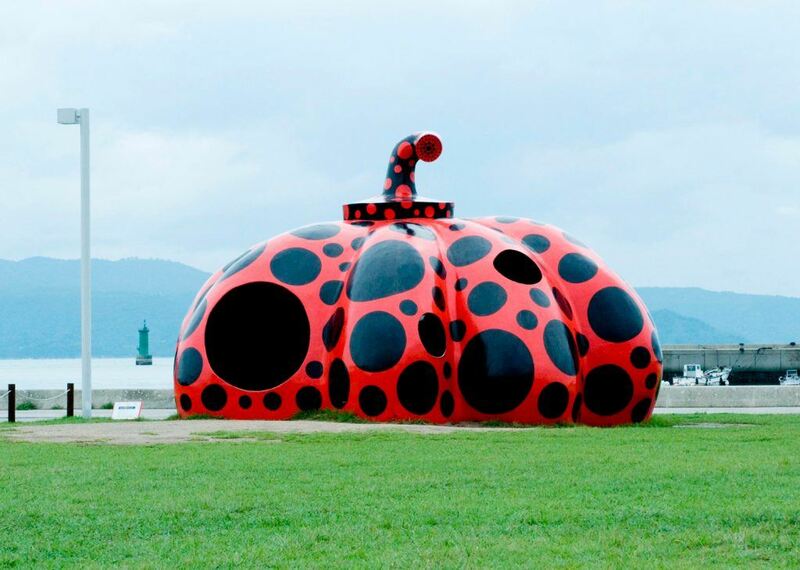 Less known, however, is the Setouchi Triennale, a sprawling, multisite exhibition held every three years across 12 neighboring islands. 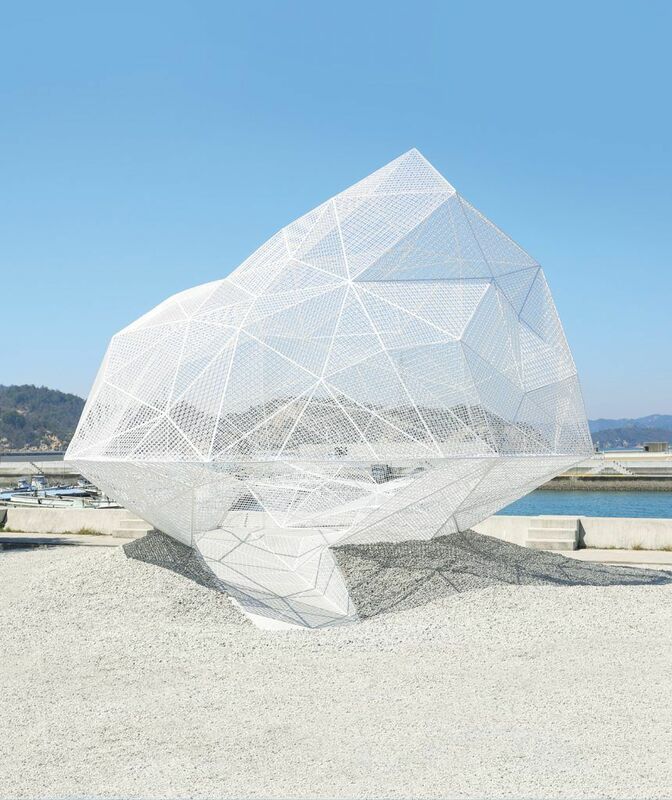 Launched in 2010 and presented in seasonal installments—spring (taking place this year from April 26 to May 26), summer, and fall—the event offers visitors a chance to explore the more remote islands such as Teshima and Honjima.